As it was in the case of DArT method, the core of DArTseq technology, is a genome complexity reduction concept. Many methods have been developed to reduce genome complexity for genomic characterisation, however the DArT methods provide a significant advantage via an intelligent selection of genome fraction corresponding predominantly to active genes. This selection is achieved through the use of a combination of Restriction Enzymes which separate low copy sequences (most informative for marker discovery and typing) from the repetitive fraction of the genome. 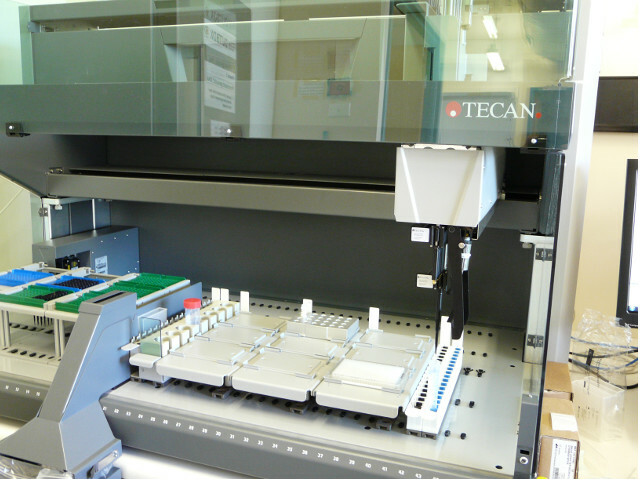 While the initial DArT implementation on the microarray platform involved fluorescent labeling of representations and hybridization to dedicated DArT arrays, the DArTseq method deploys sequencing of the representations on the Next Generation Sequencing (NGS) platforms. 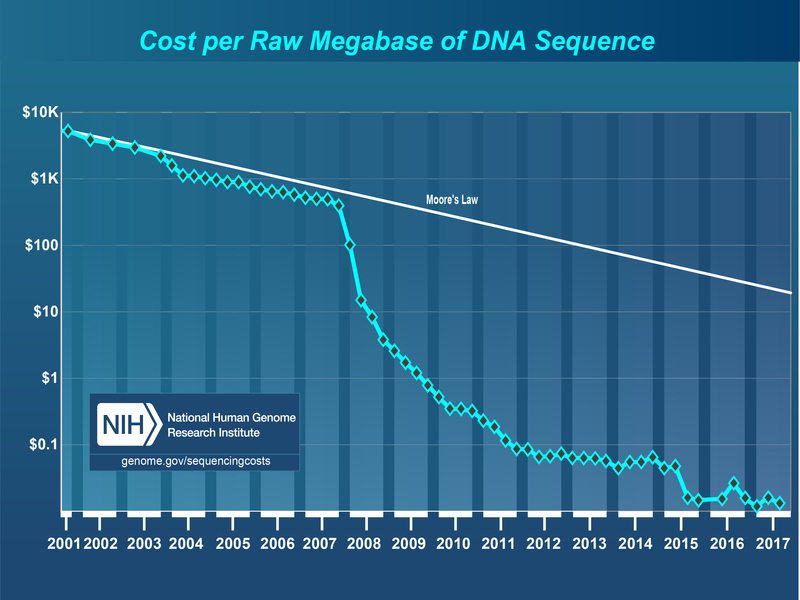 The transition to the sequencing platform enabled dramatic (1-2 orders of magnitude) increase in the number of genomic fragments analysed and, as a consequence, a corresponding increase in the number of reported markers. As a consequence of the platform change we created even more scalable and cost-effective technology than the initial DArT method. 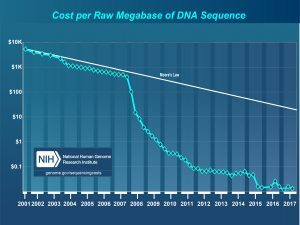 When DArT P/L was established in 2001, the cost of sequencing of a megabase of DNA was measured in thousands of dollars, whereas at present, it is measured in cents. A drop in sequencing price by several orders of magnitude enabled us to transit to sequencing based genotyping in 2010 – the DArTseq platform was established. The transition to the sequencing platform enabled dramatic (2 orders of magnitude) increase in the number of genomic fragments analysed. 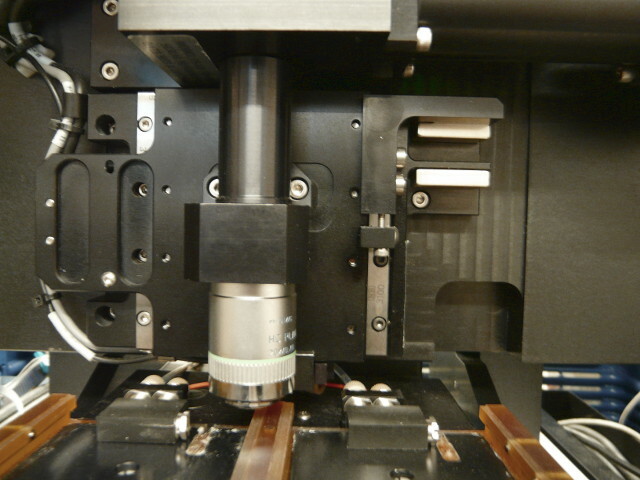 DArTseq for a new organism or application starts with optimization of complexity reduction method(s). While the choice of restriction enzyme combinations is large, DArT P/L has invested considerable effort in testing various combinations on a significant number of organisms and has developed sets of complexity reduction methods (representations) that are performing quite well compared to other methods. The optimisation process usually selects one dominant method of complexity reduction for the crop, but in many cases several methods were identified which offer application-specific advantages. The difference between the methods can be both quantitative (different number of unique fragments in the representation) as well as compositional (different sets of fragments captured in the representations). These differences in representation, size and composition translate to different efficiencies in marker detection rate and quality (call rate and reproducibility) and can be further optimized for performance in different applications. Click to read information on DArTSeq Data Types. While most of the applications of DArTseq are directed at the whole genome analysis and high marker densities, there is an increasing demand for lower density, cheaper assays. DArTseqLD is one of the simple solutions for such needs. By randomly selecting a subset of fragments from a normal DArTseq, the method is usually producing an order of magnitude, smaller representations and correspondingly smaller number of markers. In most organisms, this low density (LD) assay is representing thousands of markers and therefore highly appropriate for applications like Quality Assurance and Genomic Selection when materials with high Linkage Disequilibrium are analysed. While “regular” DArTseq is capable of detecting methylation variation among SilicoDArT markers, we have also developed a dedicated methylation analysis using DArTseq platform. In this case we create TWO methods of complexity reduction for each sample. Both methods use the same “rare cutting” restriction enzyme while two isoschisomer restriction enzymes differing in the sensitivity to cytosine methylation are used as “frequent cutting” enzymes. The comparison of the sequence composition of the two resulting representations (libraries) reveals clearly differences in methylation pattern across the genome.